Kota bites the bullet but gets the girl? Start off soft and then get really hard, in your teaching of course. There is more than one way to pump an idol full of energy. Dating an idol is a walk in the park. Or secrets, or sediment, or servers, or uh you get the point. Soon Rui will assimilate all minds of all peoples. 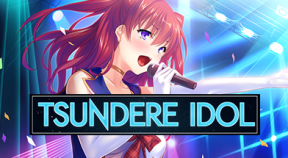 This idol really is knot one to be tied down. I guess this is proof love can bloom even on a concert stage.